Open up the organization in Account view. Click on the Edit organization link (See A). Fill in the Organization name, Description, Org. phone number and Org. URL and Org. address. Click Save to update this information. 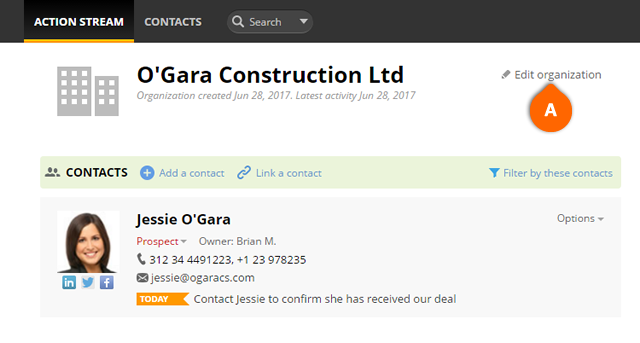 You can also quickly update the organization's description by clicking the Add organization description link directly under the company's name in Account view.